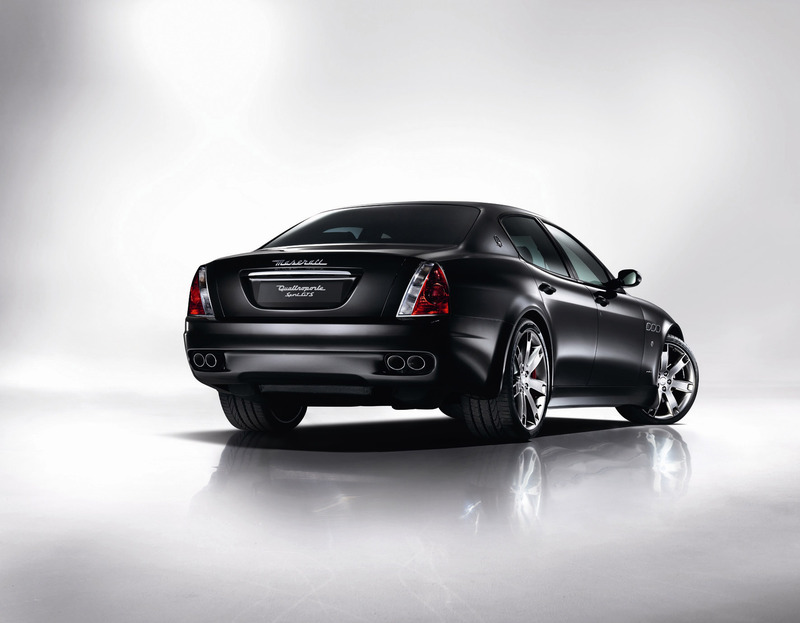 The 2009 Maserati Quattroporte Sport GT S will be the definitive sedan in Maserati's lineup. News Cars from Maserati, Maserati describes the Sport GT S, which goes on sale in March 2009, as "the ultimate expression of Maserati's sportiness in the Quattroporte range." In short, it's a big, sensuous four-door that goes fast and handles sharply. Up close, this Quattroporte has the sheer presence of even more expensive cars like the Bentley Arnage or Continental GT. It's the most visually striking car available in this price range. The Sport GT S isn't a lot different from Maserati's current sedans, the Quattroporte and Quattroporte S. Changes to the GT S are subtle, but they work to create a noticeably different bent. Perhaps this car is more sinister, and certainly more self possessed. The Sport GT S is equipped with Maserati's larger 4.7-liter V8, like the Quattroporte S, rather the 4.2-liter engine in the standard Quattroporte. The V8 is tuned to deliver 433 horsepower, or eight more than the Quattroporte S, thanks to a freer-flowing (and deeper-sounding) exhaust system. 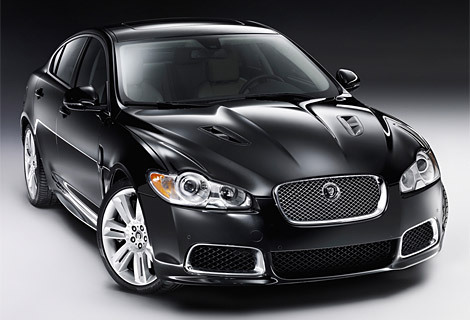 Its electronic throttle is tuned to respond more aggressively to movement on the gas pedal. Anyone who purchases the forthcoming 2009 Mini Cooper Convertible because it’s fashionable, rather than for a genuine appreciation of open air motoring, risks being revealed as a poser. Expected in showrooms by the end of March 2009, the next-generation Mini Convertible features something called an Openometer. Located right next to the standard odometer, the Openometer records and displays the distance the Mini has been driven with its folding soft top open. An owner who seldom lowers the roof to feel sun on the face and wind in the hair won’t be able to fake it. The 2009 Mini Convertible is based on the second-generation Mini Cooper Hardtop, introduced in 2007. As such, the new Convertible is slightly larger than its predecessor, with a more rigid structure, revised engine-transmission combinations and more room inside. 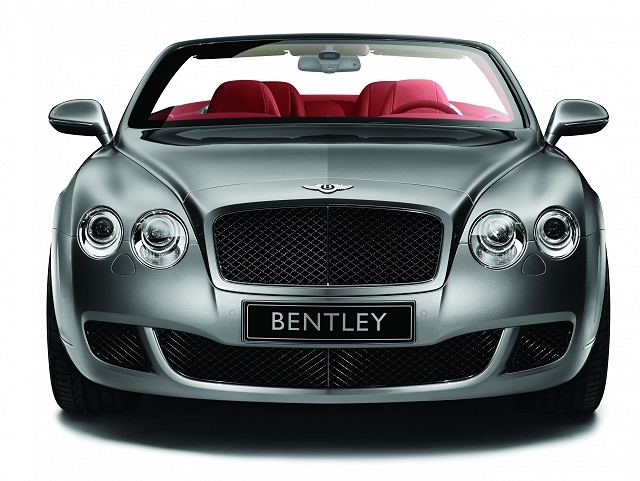 The primary difference between the Hardtop and Convertible, of course, is the convertible’s folding top. Yet that feature requires some serious re-engineering, so while the two models are identical from the windshield forward, the Convertible body is different from the windshield back. Most of the changes are aimed at limiting vibration and twisting in the absence of a fixed steel roof, and the Convertible therefore adds weight. Still, Mini says the new Convertible is only about 60 pounds heavier than the Hardtop, and its body is nearly as resistant to flexing. This Mini Convertible is also 22 pounds lighter than its predecessor. Intrigued by the Mercedes-Benz SLR Stirling Moss? You can't buy one unless you already own one of the other SLR models, even if you have a spare $1,000,000 burning a hole in your pocket. The SLR Stirling Moss is the last in a line of big, mega-performance Mercedes SLR sports cars developed with the McLaren Formula One race team and first introduced in 2004. Exactly 75 copies of the SLR Stirling Moss will be built between June and December 2009, when all SLR production ceases. This SLR is a tribute to renowned British race driver Stirling Moss, who famously won the 1955 Mille Miglia race in Italy in the original Mercedes 300 SLR, in what remains a record time. Yet the SLR Stirling Moss is as much a reward for loyal Mercedes customers. Only those who have purchased previous SLR models (for a minimum of $495,000) will be offered a chance to buy the new SLR Stirling Moss. An all-new 2010 Honda Insight is expected to arrive in Honda showrooms by April. Honda hopes its 2010 Insight will re-establish the company as the leader in dedicated hybrid cars, and at a bargain price. The original Honda Insight, built from 1999 through 2006, was the first gasoline-electric hybrid car available in the United States. It was almost experimental in look and character, a two-seater with limited mainstream appeal at a fairly hefty price. The all-new 2010 Insight is a compact five-passenger, five-door sedan. It's much closer to the mainstream than the original, and it's expected to sell for about $4,000 less than the class-leading Toyota Prius or Honda's own Civic Hybrid. An all-new 2010 Toyota Prius should reach showrooms in the United States by May 2009. The 2010 Prius has been redesigned top to bottom, with more family space inside and more Lexus-style luxury technology. We can expect this next evolution of America's best selling hybrid car to be roomier, faster and more fuel-efficient than the current model. At first glance, the 2010 Prius may not look like an all-new car, meaning a ground-up redesign and a complete re-engineering. The 2010 Prius is nearly identical in shape to the current version, with a wedge nose, arcing roof and sheer, flat rear end. Yet close inspection reveals that the highest point in its curved roof has moved rearward, somewhere over the rear seat. The grille-and-headlight design is much less bland, and lenses over the LED taillights are white. Design special for young people, the affordable new Ford Ka is designed to be both cheap to run and kind to the environment,It uses two economical, low emission engines: a 1.2-litre 69 PS Duratec petrol engine and, for the first time on Ford Ka, a 1.3-litre 75 PS Duratorq TDCi turbodiesel. "GM once again make the market more Asia-Pacific achievement despite a decrease in global economic and credit problems, which will affect most of the market and the large car in the second year in 2008," said Nick Reilly, GM Group Vice President and President of GM Asia Pacific. "We have benefited from the increase in demand of our products in the developing regions." In China, domestic sales and the GM companies growing 6.1 percent patungannya with record 1,094,561 units. GM has led to increased demand for products from Chevrolet and Wuling, which recorded sales of 15.7 percent to 199,155 units and 17.4 percent to 606,499 units. Wuling Sunshine minivan from SAIC-GM joint venture company owned by GM to become the first vehicles in China through a number of sales 400,000 units a year. Figures GM sales in India increased by as much as 9.4 percent to 65,702 units in 2008, a new record for the GM. GM once again leads with the Chevrolet Spark mini-car, which was approximately 48 percent of sales. This is also supported with the start of regular production in two factories owned by GM in India, the factory with a capacity of 140,000 units, in September. GM also increased in some countries members of the ASEAN sub-region. GM noted the increase in Indonesia and the Philippines respectively to be 2610 units and 2400 units. In Vietnam, GM car sales jumped 45.6 percent to 11,037 units, a new record sales for GM in these countries. In South Korea, GM Daewoo and GM contributed to sales of 117,374 units. GM Daewoo will remain a major source of vehicles all over the world. The company exported 1,788,568 vehicles and CKD in the year 2008 to other countries in the Asia Pacific region and other countries around the world, and re-record a new record for GM Daewoo. In Australia, GM sold 132,555 vehicles in 2008. Holden Commodore is a passenger Kendaraan terlaris in Australia for 13 consecutive years. GM Holden, the GM in Australia, announced plans in December to create a new small car next to the Commodore at the Elizabeth plant in South Australia. GM saw sales in Japan grew 32 percent to 10,865 vehicles in the year 2008. Benefit from GM's premium brand strategy is, where is the preferred choice in the products from the Cadillac, Saab and HUMMER. "GM remains optimistic with the future in the Asia Pacific region," said Reilly. "We keep investing in the developing and the market that has been established to ensure the continuation of our development in one of the world's most" ferment "." In 2008, GM began the program with the launch of the long-term product, with the main menggelintirkan models such as Chevrolet Captiva in India, Holden VE Sportwagon in Australia, Chevrolet Colorado CNG in Thailand, GM Daewoo Lacetti Premiere in Korea and New Buick Regal in China. To keep in line with demand, GM start regular production in Talegaon factory in India. In China, SAIC-GM-Wuling complete factory capacity of Qingdao and the Phase 2 plant in the western part of Liuzhou, in the same factory during the second property of Shanghai GM (Shenyang) Norsom Motors opened. New Mazda 6 (Mazda Atenza in Japan) with the European specifications to get 5 stars from the European New Car Assessment Program (Euro NCAP) testing in the safety performance of the combination in 2009. This officially makes the Mazda 6 has been one of the most secure car in the world. In the year 2009, Euro NCAP has been implementing the evaluation system is more stringent; ranking security where a vehicle is considered as a whole and the assessment system is to combine the 4 sectors, namely the protection of adult passengers, the protection of children, pedestrian protection, and assistance security. Mazda 6 in the first group in the test based on the new framework. "We will endeavor to fulfill the social responsibility of companies with technology, Mazda continues to develop a safe and friendly environment," said Seita Kanai, Mazda's Senior Managing Executive. Model-model Mazda cars in Europe that have received the highest 5 star rating for adult passenger protection from Euro NCAP was Mazda 5 (Mazda Premacy) in September 2005 and the Mazda 2 (Mazda Demio) in December 2007. Meanwhile, if the first generation Mazda 6 combines the unique style and interesting with the driving performance of extremes, New Mazda 6 has developed the characteristics and performance standards have been raised over the security of the high security standards of the world. Meanwhile, Euro NCAP is the independent body that has a transportation authority in the countries of Europe. Agency has been providing security since the award in 1997. 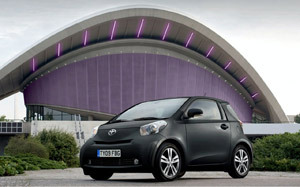 Toyota Motor Corp. will display the Toyota iQ motorized 1:33 liter in Geneva Motor Show which takes place at this time. This machine can produce 99hp technology with dual VVT-i. When first introduced, four-passenger car in the world's smallest is only using the 1.0 liter engine with 67hp and a maximum power transmission 5-speed manual. That this latest open gearbox 6-speed manual with optional Multidrive CVT. Variant with 6-speed transmission manual can cover 58.9 miles per gallon with CO2 emissions 113g/km. CVT version can lead 55.4mil per gallon with 120g/km emissions. This new engine is equipped with the technology and engine Optimal Drive stop & start system to improve efficiency. In Europe, Toyota iQ is the latest market began in June 2009. Although small, Toyota iQ predicate successfully get one of the most secure car in Europe because it gets five stars in the crash test the European New Car Assessment Program (EuroNCAP). Toyota iQ is the first car equipped with air bags in the rear glass. Total 9 airbang who have planted in this tiny car. In addition to showing new variants Toyota iQ, Toyota will also shown new model Toyota Avensis and the latest generation Toyota Prius at the car exhibition, Geneva.